Cory Monteith died of heroin and alcohol, so sad. The official coroners report has released and that is what the preliminary results show. According to the initial autopsy, he died of drug toxicity that consisted of both heroin and alcohol. The report gives you a big medical explanation but when it comes down to it he died because of his substance abuse addiction. The investigation into the Glee star’s death is ongoing and as the report says these are just preliminary results. Unfortunately that means there is a good chance there were even more drugs in his system at the time of death. Since Cory’s shocking death last Saturday, the cause of his death has been one hot and very sad topic. There was speculation that it was drug related considering his troubled past with drugs and alcohol. Sadly that speculation has turned into a fact, which I am sure does very little to console his family and those who loved him. 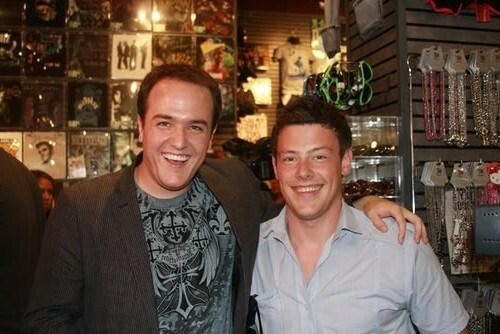 As I mentioned Cory, like so many other Hollywood stars, has been battling addiction since he was a young teen. He now becomes part of a club that seriously has taken too many lives of the famous, those who have died due to addiction. That is not a club that anyone should be belong to if you ask me. He was not shy about his addiction either. The physical cause of Cory Monteith’s may have been revealed but what caused him to turn to drugs and alcohol dies with him. He was a very talented guy, whose career and life was cut to short. The coroners report comes on the same day that the powers the be at Glee revealed they are unsure how to address Cory’s demise on screen. Were you surprised at the results of Cory’s autopsy or were they what you expected? Tell us what you think in the below comments section.